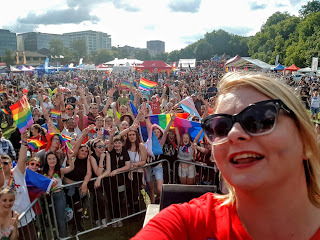 Saturday saw the 14th Reading Pride and it was the biggest ever! The parade saw 1,500 people march through Reading and 14,000 people passed through the gates of the Pride arena. It was a fantastic day. The sun shined and the people of Reading came together to show love unites! I was a very proud Patron of Reading pride that afternoon. 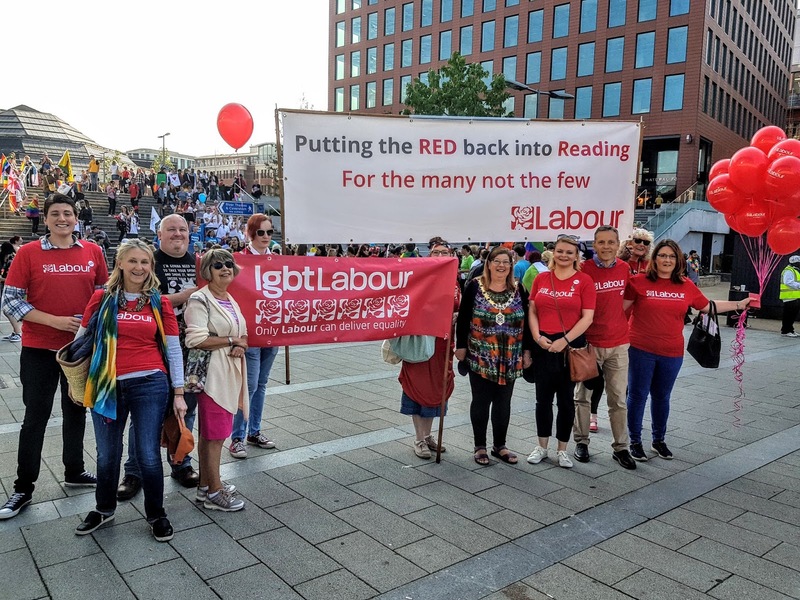 Reading Labour were out in force. 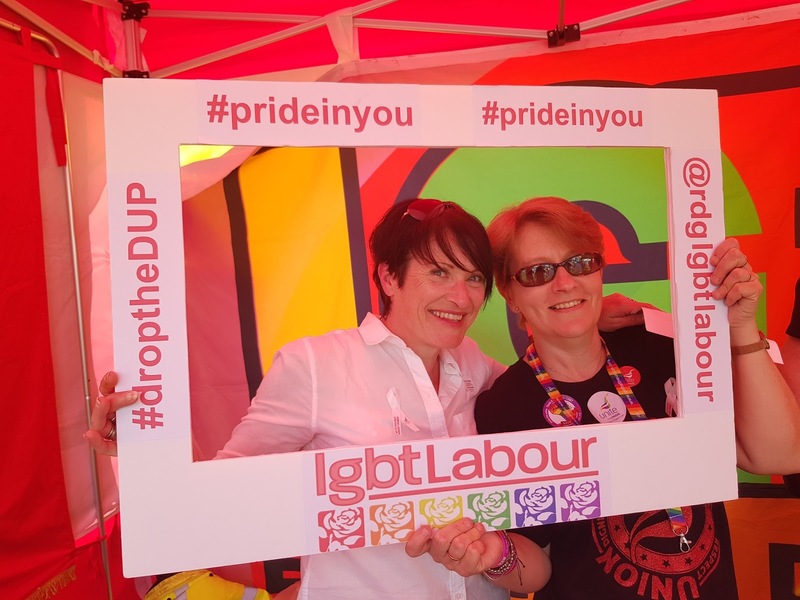 We proudly marched in the parade then spent the afternoon sharing our LGBT+ manifesto, very popular balloons and collecting signatures for our #DitchtheDUP campaign which you can support here. The awesome Reading Labour team and Mayor of Reading Rose Williams. We also had lots of fun with our Reading LGBT Labour picture frame. People couldn't wait to have a photo. You can see a selection on our Reading Labour Facebook page here. Unite Regoinal Equalities officer Janet Henney and my friend, and senior rep at my workplace, Jan Bastable. I would like to publicly thank my union, Unite, for being the main sponsor of this event. 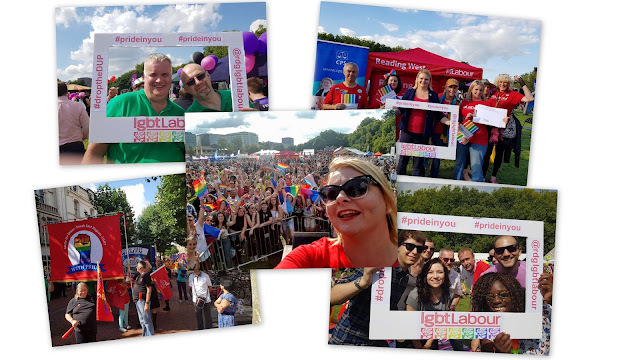 My fellow reps, and friends, did an outstanding job on the Unite the Union stall sharing the benefits or union membership and campaigning against the abuse, torture and killing of gay men in Chechnya. Finally none of it would have been possible though without the outstanding Reading Pride committee and volunteers. As Patron I've got to see the hard work that goes into putting on this free event - and not all prides are free to enter anymore! They work all year round, not just in the run up to the event. Please consider supporting Reading Pride all year round. You can find out how here.